It’s been an exciting week for us! Thanks to our team member Deborah, we have a lead on land in Kisii that we’ll get to look at when we make our trek back across the water in December. 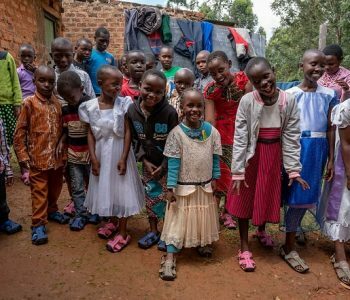 We’ve connected with theshoethatgrows.org to get 60 pairs of shoes to deliver to those in need when we arrive in Kisii, and we are working hard to find a lawyer who can help us file our 501c3 paperwork so that we can get our status and begin applying for grants and asking for larger donations. We’ve also officially begun our partnership with period.org, so we’ll be supporting their educational efforts and potentially working with them to put on a 5k fun run to raise funds for both organizations. Our website is continually being refined and updated, thanks to the mad IT skills of our CTO, Sumner. He’s changed our donations page to make it more engaging and meaningful (with a few tweaks still to come) and will hopefully have a chance to create a “get involved” page as well. You’ll also notice that Brandon’s wonderful head shots have been posted for many of our team members, so now you can put faces to names. Thanks to all for your contributions! Lastly, we are starting to get a little bit of press! See the nice story written about MSoMI by the UNTHSC SPH communications guru, Sally Crocker. We are on the SPH home page and the Facebook page, and hope to be posted to the UNTHSC home page at some point. So yeah, we’ve been working hard, but it’s been good and fruitful labor. We are all so excited to be continuing our growth and feeling like this is all really happening. Here’s hoping you all feel the same and thanks for reading!